fish are a necessary part of any solution." 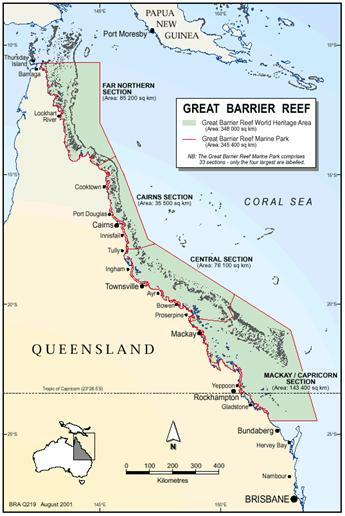 set world precedent by closing off 1/3 of the Great Barrier Reef to all fishing. The topic of MPAs has given rise to a whole cottage industry. It is staggering the number of workshops and conferences and meetings devoted to them (and equally staggering the lack of public awareness of the term MPA given all this activity, which is why we are running this little project). National Center for Ecological Analysis and Synthesis (NCEAS) statement of scientific consensus on marine reserves: "Marine reserves are a highly effective but under-appreciated and under-utilized tool." Partnership for Interdisciplinary Studies of Coastal Oceans (PISCO) : "Marine reserves are increasingly acknowledged as an important tool in integrated coastal and ocean management." Australian Department of Environment and Heritage: "Individual marine protected areas are highly effective where there is a need to manage multiple, ongoing pressures on the ecology of a defined area. In addition, the establishment of representative systems of protected areas is widely regarded, both nationally and internationally, as one of the most efficient mechanisms for protecting biodiversity and ensuring the use of natural resources is sustainable." PARKS: International Journal for Protected Areas Managers -- an entire issue dedicated to MPAs. Convention on Biological Diversity: Not happy with the simplicity of the term MPA, this group feels the need to use the term MCPA (Marine and Coastal Protected Areas), thus adding to the hopelessness of trying to communicate this stuff. "The Vth World Parks Congress, echoing the WSSD goals, called for the establishment by 2012 of a global system of effectively managed, representative networks of marine and coastal protected areas." Australia Department of Environment and Heritage: "MPAs created for fisheries purposes may also provide increased stability in fisheries, act as an offset for the unavoidable effects in fishing grounds, and help to maintain well-being in local communities." Surfrider: " MPAs can improve fishery management, help control exploitation rates and reduce secondary fishing impacts." The Pew Oceans Commission Report said: Establish a national system of marine reserves. Congress should enact legislation mandating the establishment of a national system of marine reserves to protect marine ecosystems, preserve our national ocean treasures, and create a legacy for our children. Congress should authorize regional ocean ecosystem councils to create marine reserves within the areas of their jurisdiction but should itself take action to protect areas of national significance. useful. A 2001 report by the National Research Council concluded that marine protected areas can be effective in maintaining marine biological diversity and protecting habitats and have the potential to provide a flexible, spatially-based management framework for addressing multiple ecological and socioeconomic Although at times controversial, appropriately designed and implemented marine protected areas have proven useful. A 2001 report by the National Research Council concluded that marine protected areas can be effective in maintaining marine biological diversity and protecting habitats and have the potential to provide a flexible, spatially-based management framework for addressing multiple ecological and socioeconomic challenges.